‘I do not like it- “A Good Woman”. It is mawkish. No one cares for a good woman. “A Noble Woman” would be better,’ she insisted. [i] Oscar renamed it Lady Windermere’s Fan. 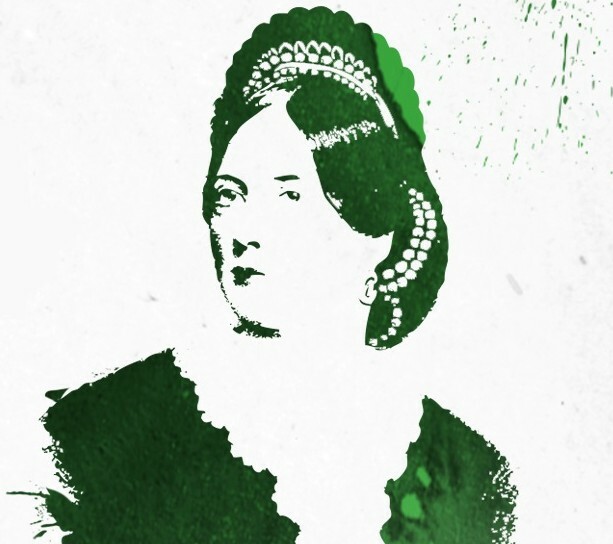 Whatever about the fictional Mrs. Erlynne, Jane was a very noble woman indeed: a poet, an essayist, an accomplished linguist, a wit, a beauty, a very loving wife and mother, a campaigner for liberty and for women’s rights, and an enduring heroine in her native Ireland. Oscar admired her considerable intellect and her appetite for life. She had a profound influence on his writing and his character, and through her example, he understood that women could be just as creative and intelligent as men. My favourite study was languages. I succeeded in mastering ten of the European languages. Till my eighteenth year I never wrote anything. All my time was given to study. Although hailed as ‘the most ardent and hot-headed of nationalists’, Jane admitted that, until her early twenties, she was ‘quite indifferent to the national movement’. [iii] Her rebellious nature is evident in the distance she moved from her staunchly unionist family. ‘Nationality’, she claimed, ‘was certainly the first awakener of any mental power of genius within me, and the strongest sentiments of my intellectual life’. [iv] The impetus for her decision to write for The Nation, the organ of the Young Irelander movement, was the death of Thomas Davis, aged thirty, from scarlet fever. Regarded by many as the most talented and passionate of the Young Irelanders, his loss was a terrible blow. Jane considered him ‘an incarnation of passionate genius–the most powerful of the poets, the most brilliant of the essayists’. [v] When editor, Charles Gavan Duffy invited contributions from sympathetic readers, the most eye-catching came from Jane, who wrote as Speranza and signed her letters John Fanshaw Ellis. During the famine year of 1847, Jane’s words had a galvanizing effect: ‘a nation is arising from her long and ghastly swoon’, she declared. [x] In ‘The Voice of the Poor’, she railed against the horror, writing ‘before us die our brothers of starvation’. In ‘The Famine Year’, she condemned the arrival of ‘stately ships to bear our food away’. In ‘The Exodus’, she lamented the ‘million a decade’ forced to flee. Her most popular composition was ‘The Brothers’, a rousing ballad eulogising Henry and John Sheares, one a lawyer, the other a barrister, both United Irishmen hanged for their part in the rising of 1798. In tone and theme it resembles her son’s Ballad of Reading Gaol and it was taken up by the street balladeers of Dublin. As Ireland headed inexorably towards insurrection, Jane became increasingly provocative. Her unsigned editorial ‘Jacta Alea Est’ (the die is cast), an unmistakable call-to-arms, prompted the suppression of The Nation. When Duffy revived it after the failed rising of 1848, Jane wrote a poem to mark the occasion but she had lost her fire. Offered a page devoted to ‘feminine contributions’, she quipped ‘it probably would be the only page left unread’. She had no time for gendered writing. Women truly need much to be done for them. At present they have neither dignity nor position. All avenues to wealth and rank are closed to them. The state takes no notice of their existence except to injure them by its laws. Yet, she was contradictory in her approach. 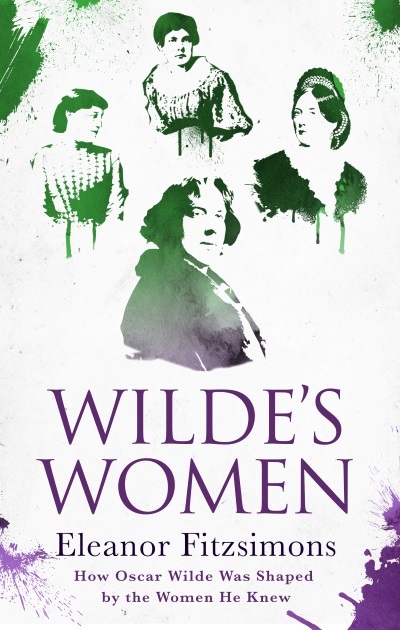 While she campaigned vociferously for women to be granted access to education and the professions, and welcomed progressive legislation, she also believed a loyal wife should accommodate her husband’s indiscretions, provided he was a genius like Oscar’s father, William Wilde. William’s untimely death deprived Jane of the comforts and privileges extended to the wife of an eminent man and his profligacy obliged her to move to London. Within months, she was contributing wide-ranging, learned articles to the Pall Mall Gazette, The Burlington Magazine,The Queen, The Lady’s Pictorial, TheSt. James’s Magazine, and Tinsley’s Magazine. She wrote several learned, humorous and eminently readable books, the last of which, Social Studies, contains essays exploring her distinct take on feminism. Women have been so long politically non-existent that they almost tremble to assert they have any rights apart from their husbands. They require much training in habits of self-assertion and self-reliance, and full knowledge of their newly acquired legal rights, in order that they may become worthy of the nobler life of freedom. It is impossible to believe that woman will be less attractive because educated, less tender and devoted because learned, less loving because she can attain the high station, honour, dignity and wealth, which hitherto only marriage could confer, by her own unfettered intellect and genius. Victorian Web: Entering The Woman’s World: Oscar Wilde as Editor of a Woman’s Magazine – an interesting counterpoint, which throws up parallels between Jane’s thought and the adult Oscar’s. Lady Jane Wilde KLife history really amazing,thanks admin for share her life story.Her one of the best work is She campaigned vociferously for women to be granted greater access to formal education..